Are you currently looking for wedding venue in Melbourne’s bayside to host your ceremony or reception? Already tried the usual haunts and they’re not quite cutting it for you? Well, maybe you should order yourself a beer and savour the view from Riva in St Kilda before making up your mind. 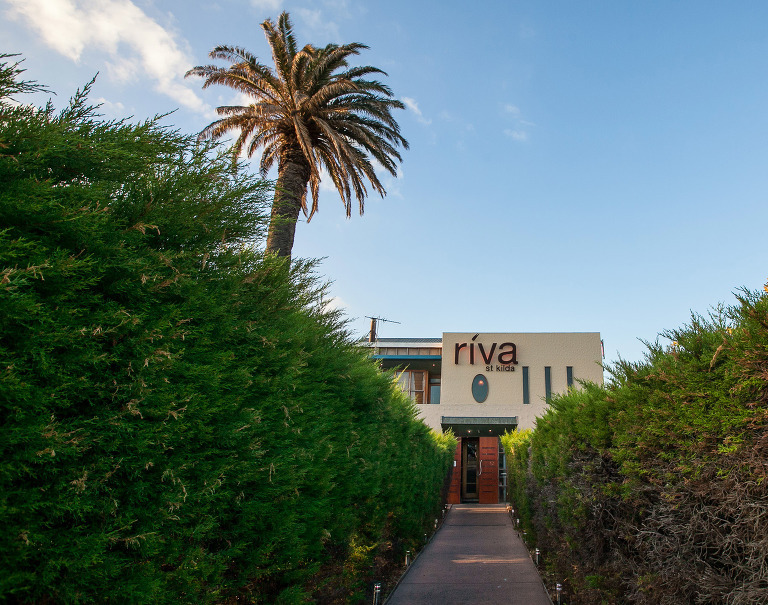 Not only is it conveniently located close to the city, but it is also nearby to some really great Melbourne wedding photography locations, including Elwood Pier and beach, Kamesburgh Gardens, Port Melbourne, St Kilda graffiti and laneways as well as the iconic Dendy Street Beach bathing boxes, Brighton. With towering palm trees and the city lights as a backdrop, the outdoor area in summer really comes into it’s own – on a warm night, it feels quite tropical! The rear deck overlooks the marina and is sheltered from the bayside breezes so is a great option towards the end of the summer season or during winter when those southerlies can be a little chilly.